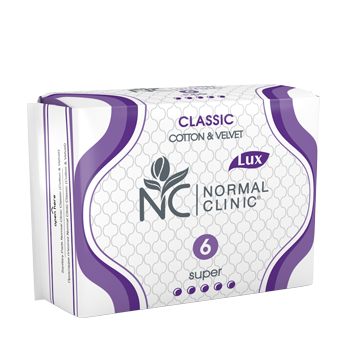 Silk & Dry - perforated top sheet, which instantly absorbs liquid, leaving the skin dry and clean. 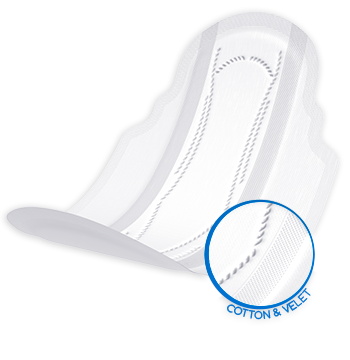 Cotton & Velvet - gentle hypoallergenic topsheet, suitable for sensitive skin. ﻿Sanitary pads NORMAL clinic® Classic provide protection during the most heavy flows. Their inner layer is made of fluffy breathable cellulose, which allows it to absorb liquid instantly, leaving a pad surface dry. 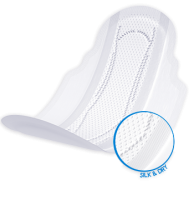 Additional bumpers strengthen protection against leakage, and the new enlarged wings provide extra comfort. 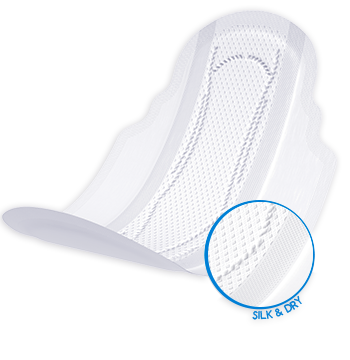 The improved absorbent properties of the sanitary pad allowed to make it 2mm thinner. 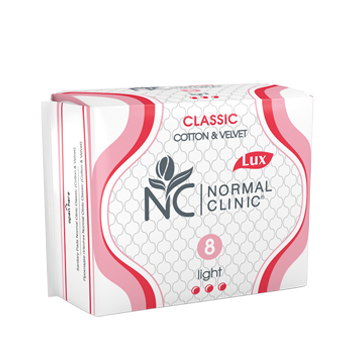 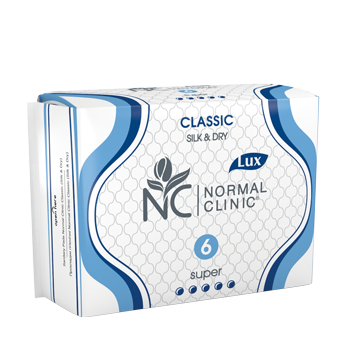 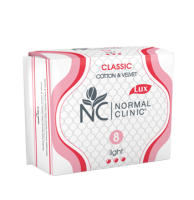 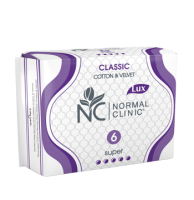 NORMAL clinic® Classic are offered in two types of the topsheet: Silk & Dry – perforated top sheet, which instantly absorbs liquid, leaving the skin dry and clean, Cotton & Velvet - gentle hypoallergenic topsheet, suitable for sensitive skin.